Location of Test: Anywhere I've slept outdoors. Best Use: Camping of any kind. Sleeping. Lounging. For most of my life, I thought that bringing a pillow camping was an unnecessary extravagance. I thought that all I needed was to shove the clothes I wasn't wearing into a shirt, or, if I was being really fancy, bring a pillowcase to put it all in so I didn't have sleep on a dirty shirt. Maybe I would lay a puffy jacket over a pack. This is what I learned growing up and sure it’s true maybe this is all you need. It works. I lived for many weeks this way, hiked hundreds of miles, take extended wilderness trips, all without a pillow, because again, a pillow is just an extra extravagance, right? 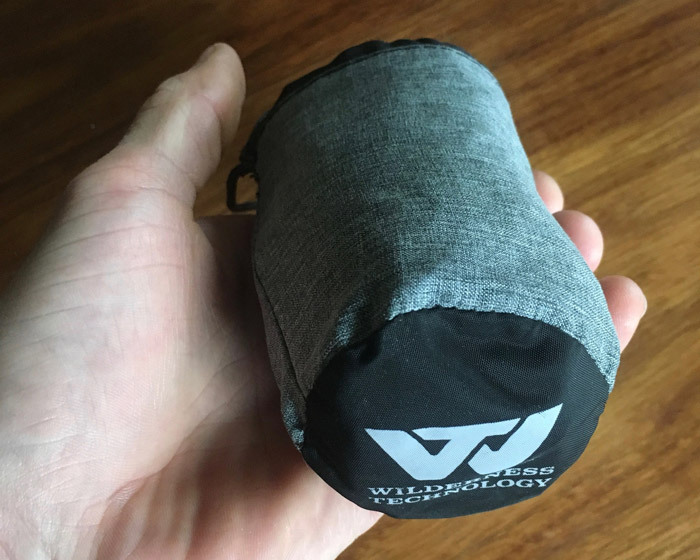 Adding the Stretch Lite pillow from Wilderness Technology to my sleeping kit is a game changer that is well worth it. It takes three breaths to inflate, takes up hardly any room, weighs very little, and stays packed in my sleeping bag stuff-sack so it doesn't get lost or ad clutter to my pack. Its shape is contoured to fit inside a sleeping bag hood, so it stays put under my head. No more weird lumpy pillow-like objects; no more sleeping on smelly clothes; no more neck pain; and definitely more sleep while when I'm camping. 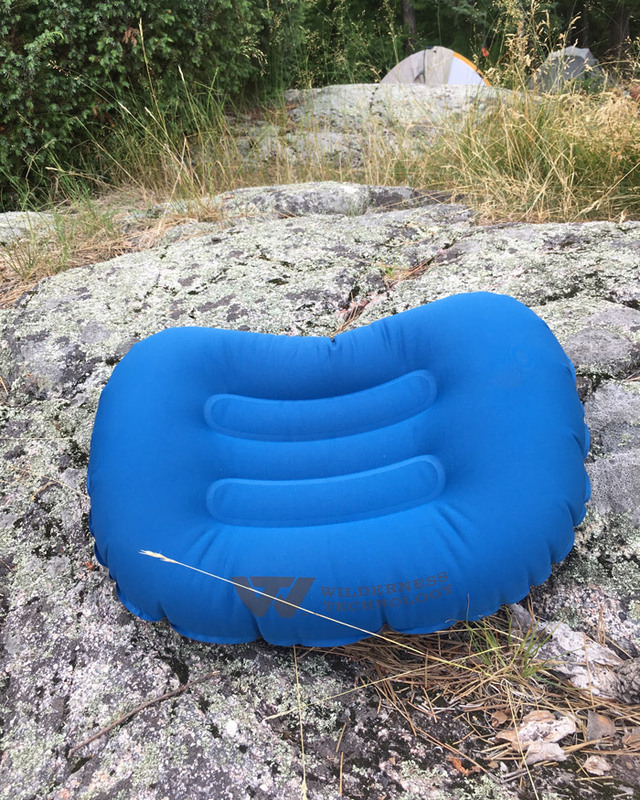 There certainly are fancier camp pillows out there, such as the Nemo Fillo or Sea To Summit Aeros Premium that add fleece and/or foam to cushion your face and add comfort. I've been told by friends that this is absolutely worth it, especially if you're going sleeping out regularly, or have a harder time sleeping anyway. Much better night's sleep. Packs down small, weighs very little, and very affordable. Lifetime common sense warranty. There are more comfortable pillows out there, but they do come at a higher price. This is the best piece of gear I have added to camping kit since getting a down sleeping bag.